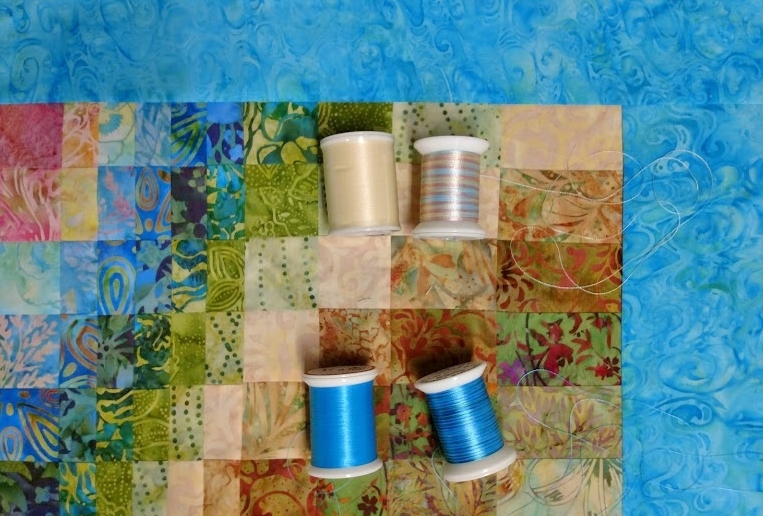 This is the tenth in a series of sew/quilt-along posts about making a bargello quilt. The quilt top is complete, and as I discussed in my previous post, I’ve decided to free-motion quilt this project. I’m raring to get started! I’m leaning towards a variegated thread that has a nice sheen. 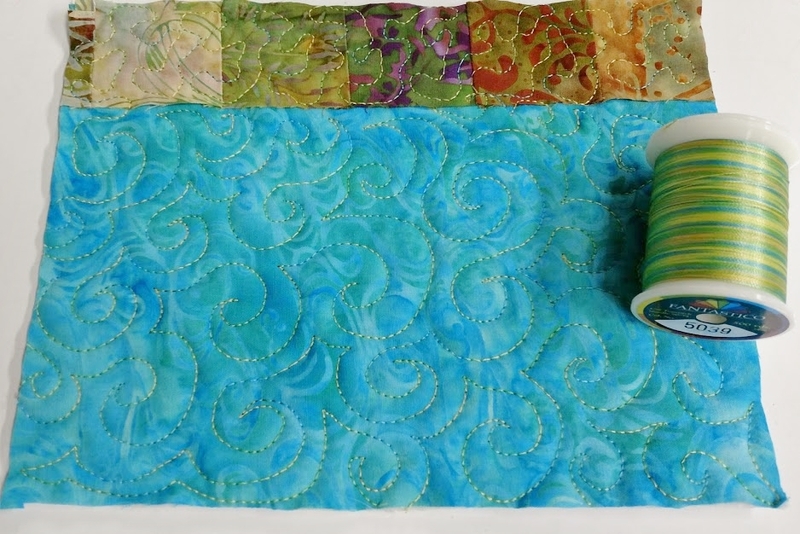 Although you don’t usually notice the color of the thread used for the quilting until you are right up close, it can have significant impact on the finished quilt. A “quilt” is traditionally composed of 3 layers: quilt top (which may be pieced together, appliquéd, or whole-cloth), the batting (I’ll be using 80/20 Hobbs Heirloom Cotton batting), and the backing fabric. 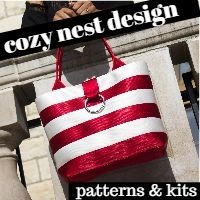 “Quilting” refers to the stitching (by hand or machine) that is done to hold the 3 layers together. “Free-motion” quilting refers to dropping the feed dogs (the feed dogs are what normally moves the fabric through the sewing machine as you sew) and creating a design by moving the fabric manually (kind of like drawing on paper, except in this case, the pencil/machine is stationary and the paper/fabric is what moves). I like the subtle sheen this thread adds to the quilt. The pastel color changes show up a little better in person than they do on camera. 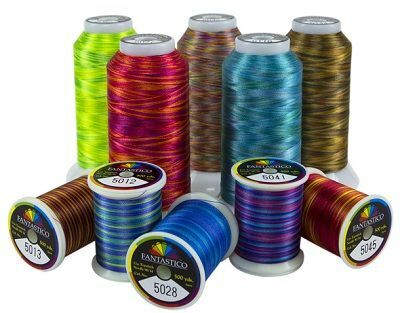 I especially enjoy variegated thread – especially brands such as Rainbows or Fantastico, both of which change color every inch. I like to use color as a unifying element. 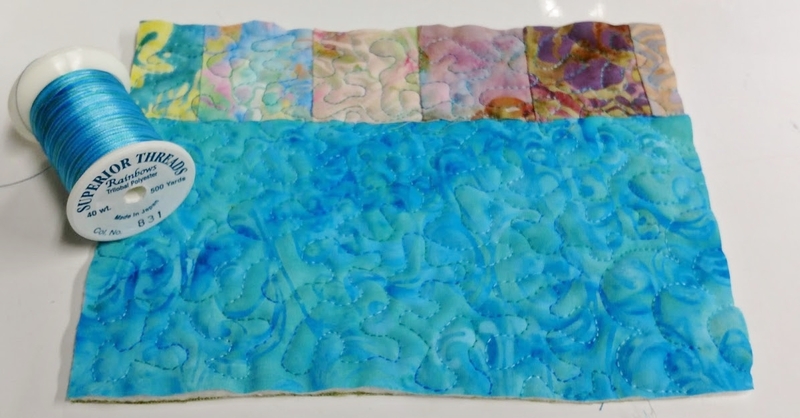 As I’ve mentioned before, mid-to-high density quilting with a color (or colors) – as opposed to matching the thread color to the fabric or using clear MonoPoly – subtly changes the color(s) of the fabrics underneath. This thread adds sheen but not color to the border. I think it dulls the lighter fabrics a little bit, though. 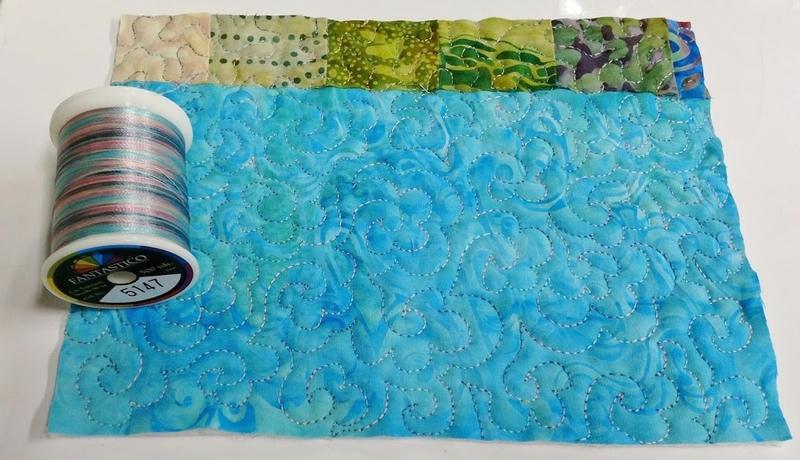 Unlike some quilters I know, I particularly like choosing a variegated thread which will give the illusion of flickering in and out of sight because of the way the changing colors in the thread briefly match and then contrast with the color(s) of the fabric underneath. The green/blue/purple thread seems to flicker in and out of view compared to the lighter thread with lower internal contrast. Two of the thread combinations I am considering. In each case, the variegated Rainbows thread would be the top thread and the coordinating solid color of Bottom Line thread would be in the bobbin. 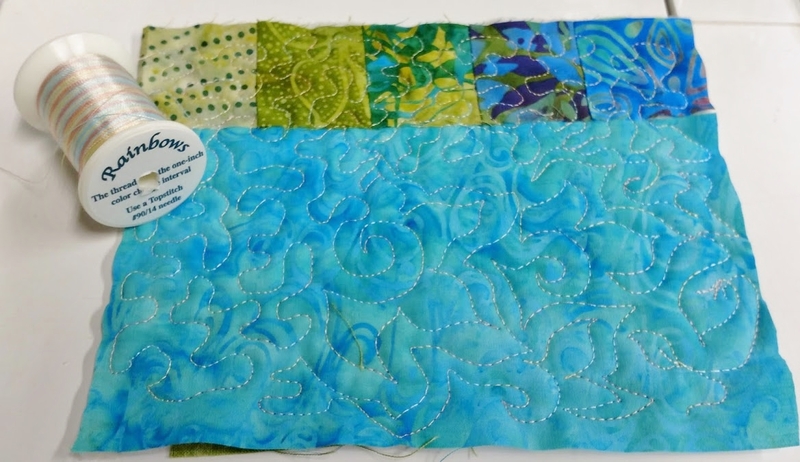 I find sample stitching incredibly helpful – I layer scraps of the same fabric(s) used in the quilt top with some scraps of batting and backing fabric and then try out different threads I am considering. Variegated threads can surprise you – the colors often look quite different when they are stitched out than they do when the colors are all tightly packed together on the spool! The darkest pink in the pink thread on the left reads almost purple against the blue of the border, while the color variations in the lighter thread are very difficult to see. I think this thread is much more appealing when it is stitched out than it is on the spool! These colors feel so happy to me – and I like the way there is enough contrast to pick up the color changes, but not so much that it is jarring. A definite contender. Might not be so good on top of the pinks, though.